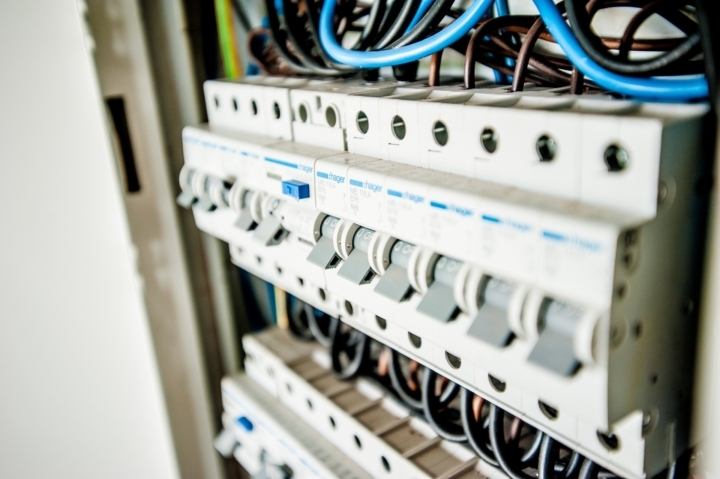 When it comes to electrical appliances at home or your workplace, safety from mishaps like electrocution and fire should always be a top priority. Any laxity on this front can result in heavy damages and bring all operations to a grinding halt if you are drawing power from a generator set to run them. Circuit breakers save generators from overloading by disconnecting the load if it tries to pull too much current from it (generator). Controlling the generator’s output prevents damage and possible safety and fire hazards. Limiting the generator’s output helps it run a lot longer. It’s the master switch of the panel controlling the electricity supply into a residential or industrial panel. The breaker trips when the current goes beyond the set level. It controls the electricity to the circuit and is used to add circuits to an existing electrical panel. They can be of single, double, or triple pole depending on the application. Control specific circuits supplying current to places that are in frequent contact with water like pool decks, kitchens, and bathrooms. They extend protection when an electrical appliance comes in abrupt contact with wet conditions. Ward off fire risks by tripping prior to a short circuit by sensing the current fluctuation. The breaker consists of a switch and a mobile conductive contact plate. This plate moves the switch when it comes in contact with the current. In a breaker box, the conductive plate is linked to a stationary plate, paving the way for current flow. When overloading takes place, the contact plate induces switch tripping to sever the current. 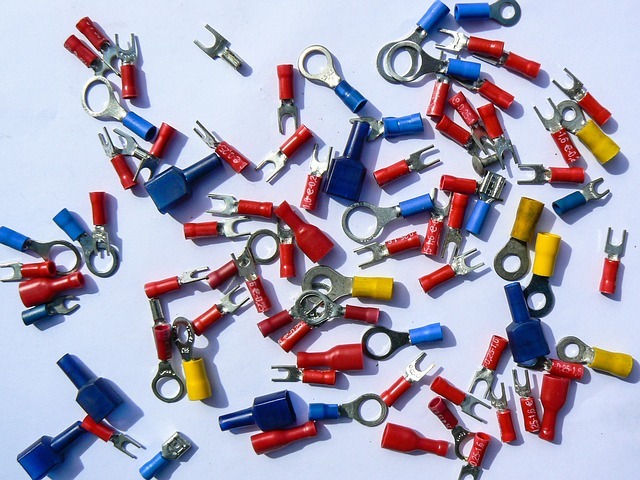 Magnetic breakers use an electromagnet that gains-in intensity with the current flow. If the current flow goes beyond the prescribed load limit, the electromagnet forcefully gets the lever down causing the contact plate to move, which then trips the switch. Thermal breakers utilize heat for breaking the circuit. A bimetallic strip is employed to sense a rise in temperature through the circuit. Consequently, each of the metal suffers expansion through different degrees and causes the strip to bend. This angular bent turns over the contact plate to sever the circuit. Another combination consists of both electromagnetism and thermal units. The electromagnet works toward protecting against abrupt electrical load surge whereas the bimetallic strip provides protection against overheating and overload. Generator circuits experience more demanding conditions than the normal distribution circuits. Therefore selecting the right circuit breaker sizing is crucial for generator protection. 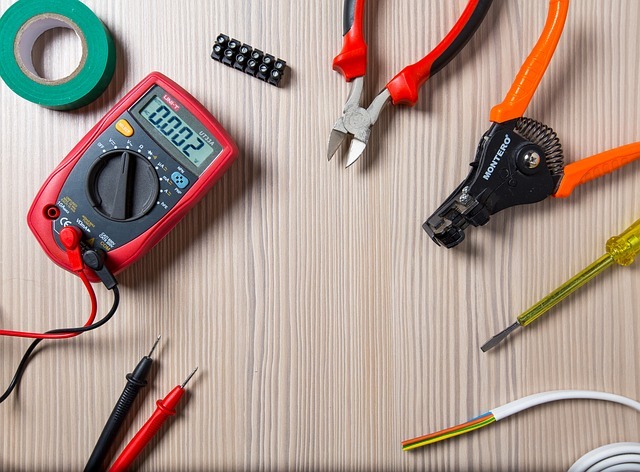 A voltage rating determines the level of voltage a particular form of wiring can safely use. It is important to select a circuit breaker which has enough voltage capacity to meet the end application. Circuit breakers up to 600 amps can be applied to frequencies of 50-120 Hz. Higher than 120 Hz frequencies require the breaker to be de-rated or specifically calibrated. Interrupting Capacity is the maximum fault current that can be interrupted by a circuit breaker without failure. So, the interrupting capacity of the breaker must always be equal or greater than the amount of fault current supplied by the system. Circuit breakers are rated in amperes at a specific ambient temperature. The breaker will carry in the ambient temperature where it was calibrated. A standard circuit breaker is calibrated at 104° F.
When selecting a circuit breaker, keep in mind the environment of the place where it will be located. If standard thermal magnetic breakers are to be applied in temperatures exceeding 104° F, the breaker must be de-rated or recalibrated to the environment. A special moisture treatment is recommended for breakers to be applied in environments with constant moisture. It helps resist mold and fungus that can corrode the unit. 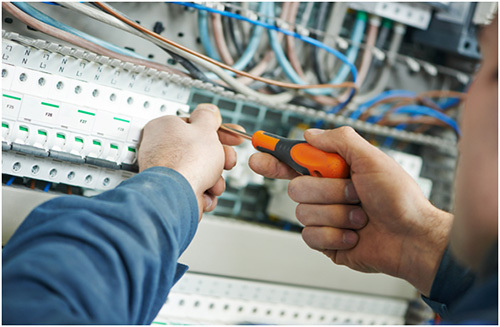 If the circuit breaker is to be applied in an area with a high probability of mechanical shock, a special anti-shock device should be installed. In areas that are over 6,000 feet in altitude, circuit breakers must be de-rated for current carrying ability, voltage and interrupting capacity. Breakers can be mounted horizontally or vertically without affecting the tripping mechanisms or interrupting capacity. But in areas of high wind, breakers need an enclosure on a surface that sways a bit with the wind. For overall quality assurance, check if circuit breakers have been UL (Underwriters Laboratories) tested. Non UL Tested products do not guarantee correct calibration of the breaker. Make sure all terminal connections and trip units are tightened to the proper torque value as set by the manufacturer. Manually operated breakers require that their contacts are clean and linkages operate freely. For circuit breakers not used on a regular basis, an intermittent startup of the breaker is required to refresh the systems.